Klaus Kirsten was twenty-six years old when he was commissioned with designing Rotaprint’s Technical Office the same year of his graduation. The young architect had already established a name for himself after publishing his diploma thesis in Bauwelt (no. 48, 1955). Time spent in Milan and Rome gave him international experiences that were rare for a young German architect in the 1950s. However, the real reason behind Rotaprint’s awarding of this early and extensive contract may have been the fact that Kirsten’s father, a professor of dental medicine, was acquainted with Paul Glatz, then director of Rotaprint AG. Glatz wanted to create a modern and youthful image for his ambitious company; Klaus Kirsten’s design of the traverse wing, which also became the office for planning and administration, suited this image so further commissions followed. The joint office with Heinz Nather was founded while working on the Rotaprint commissions between 1955 and 1959. Klaus Kirsten designed the Rotaprint buildings himself, but these foreshadowed the methods and themes in Kirsten & Nather’s work that are representative of their joint architectural output. Klaus Kirsten (born 1929 in Berlin) and Heinz Nather (born 1927 in Riga) met each other during their studies and remained connected professionally and personally throughout their lives. In 1948, they began their architectural training at the TU Berlin, where they studied under Hans Scharoun, Willy Kreuer, and Hertha Hammerbacher. In 1950, Kirsten went to the TU Stuttgart for two semesters. In 1954, he completed a three-month internship at Giò Ponti in Milan. Both architects completed their studies at the TU Berlin in 1955. Klaus Kirsten received the Fritz-Schuhmacher-Preis in the same year. In the following year, he spent eight months in Rome on a fellowship from the Italian government. The time spent in Italy shaped his artistic development and the joint work of Kirsten & Nather. After his return from Italy, Klaus Kirsten became self-employed. Upon finishing his studies, Heinz Nather worked at the office of Bruno Döring. 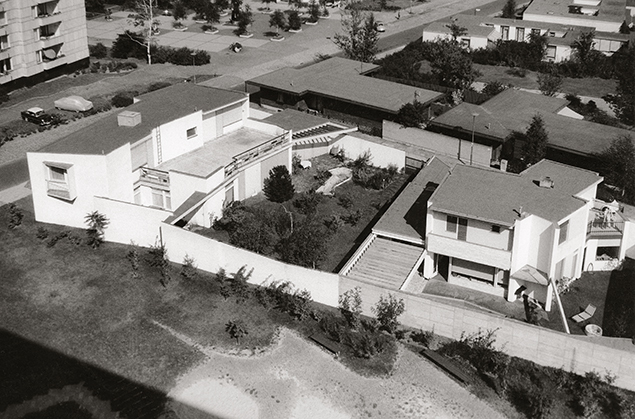 In 1957, the two former study collegues formed a joint partnership and ran the architectural office of Kirsten & Nather together until Kirsten’s death in 1999. 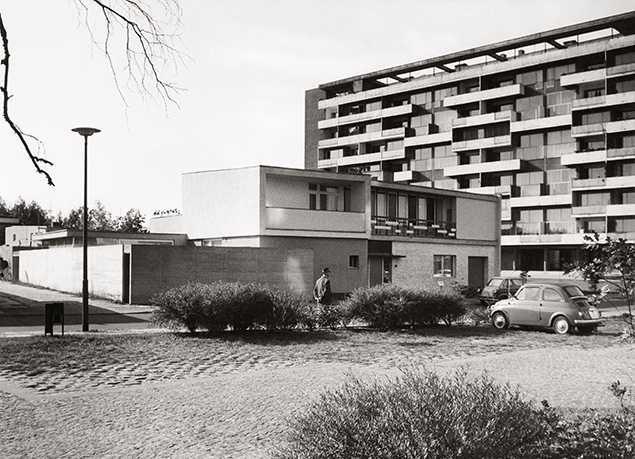 In addition to the Rotaprint factory in Wedding, other industrial buildings in Berlin such as the Elektron production facility (Saatwinklerdamm 60) or the Berliner Bettwäsche Betrieb (Bülowstraße 76-77) and a variety of shop designs, the office concentrated on designing single-family dwellings. Several important buildings were constructed in the west of Berlin, in Zehlendorf, Dahlem, Hansaviertel, and Charlottenburg. 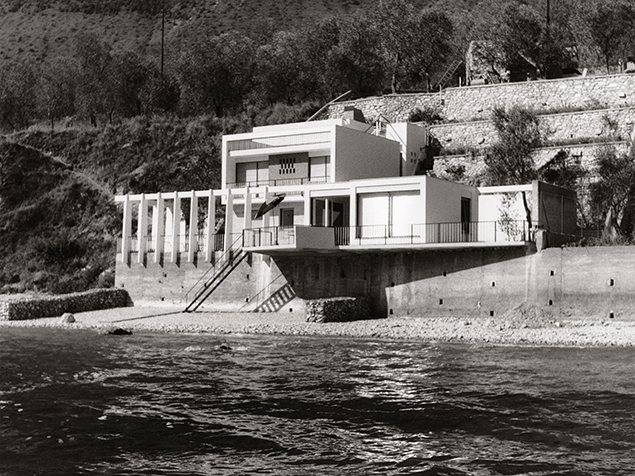 Kirsten & Nather also built a number of residential dwellings outside of Berlin, two holiday homes were built on Lake Garda, a hotel complex in Ireland and, after winning a competition in 1962, three townhouse communities in Cologne’s Chorweiler-Seeberg district. The architects received most of their commissions from the private sector, were often recommended and maintained close, almost friendlike relationships with their building contractors. However, they kept their distance for the most part from professional audiences and political networks, and were not involved in the social residential housing construction dominating Berlin in the 1960s, and thus remained unknown. 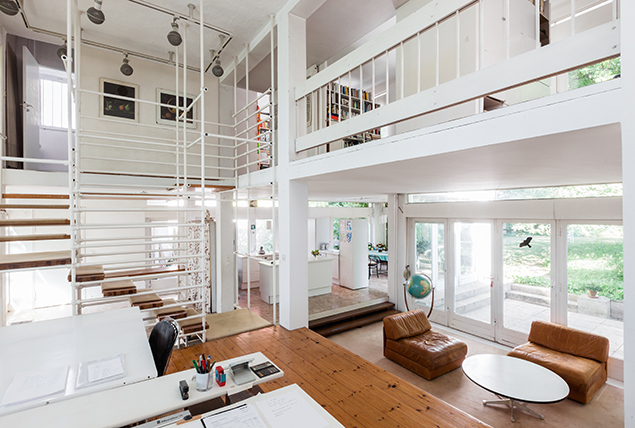 Although the office existed until 1999, the two architects’ main activity took place in the 1950s and 1960s, during which they made their own contribution to Berlin’s post-war modernism with inventive designs and open floor plans. From 1968 onwards, Klaus Kirsten also ran a hotel in Ireland in addition to the architectural office. He died in 1999 in Berlin. 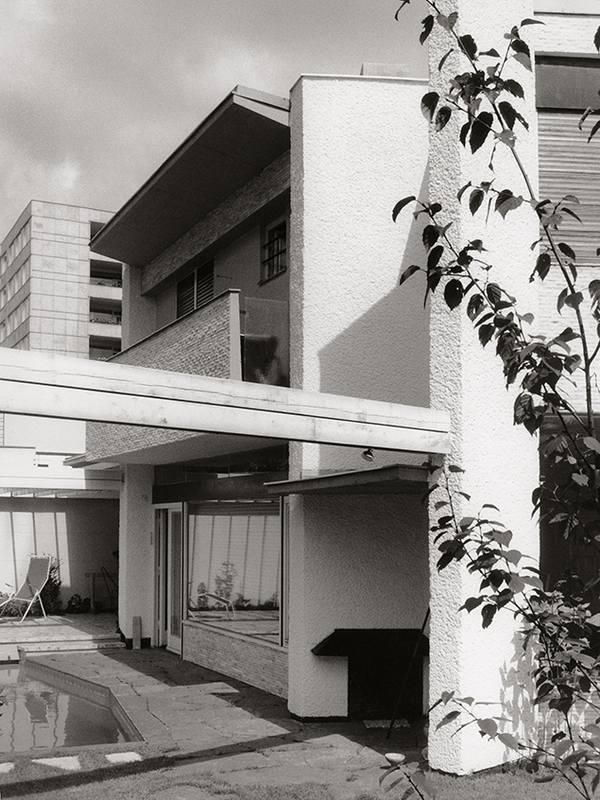 Heinz Nather lives today in his house in Berlin-Kohlhasenbrück. Unfortunately, only a few of Kirsten & Nather’s buildings have been preserved in their original state; several outstanding examples were demolished before 2000. The former Rotaprint factory was placed under monument protection in 1991; Heinz Nather’s house in Kohlhasenbrück was registered as an architectural monument in 2013.